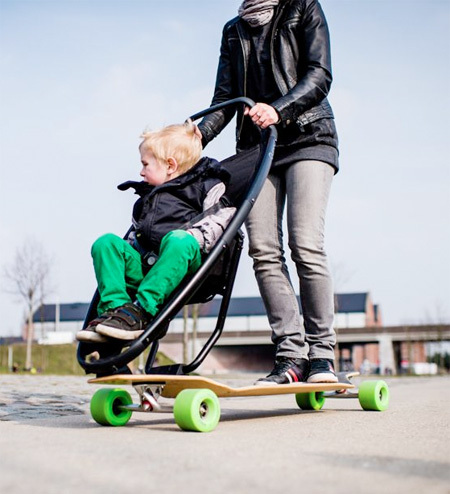 Innovative baby stroller designed for active parents who love to skateboard. 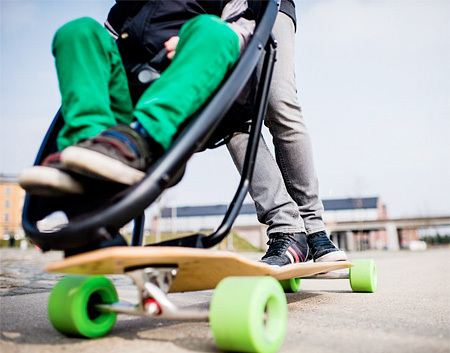 Longboard Stroller allows people to easily travel with their kids through a city environment. 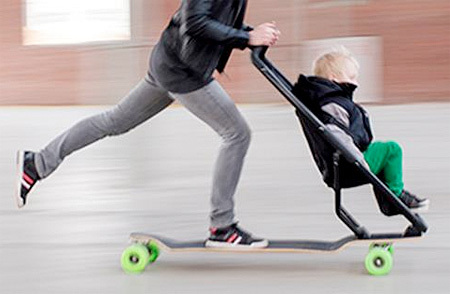 Skateboarders who have children will love this stroller. Created by Studio Peter van Riet for baby stroller company Quinny. 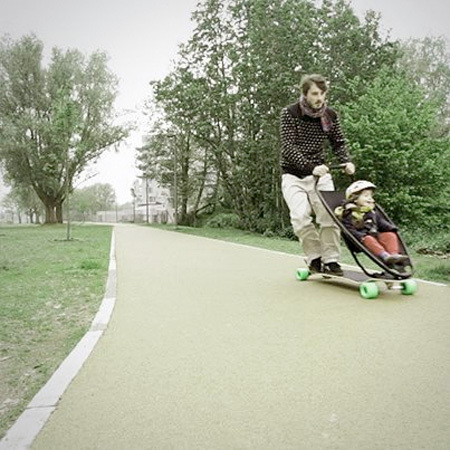 Longboard skateboard was combined with a comfortable baby stroller. 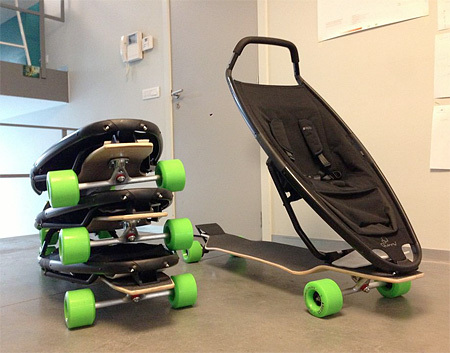 Foldable design allows easy storage and transportation. Silly, want the child to fly away? At least put a helmet on the little ones. I can see myself on one of these, if i knew how to skateboard, and if i had a child. cool, but yes Jerry. Face plants. Lots of them. What if the parent falls or slips? Hey Mommy, let’s shred the half-pipe. Just stick a rollcage on it? Fun time! I dont see how there would bee a lot of face plants. 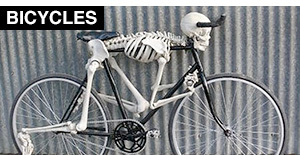 I mean, this seems almost safer then those baby seats on bikes. This has 4 wheels, and seams sturdy. you could get off the skateboard and stand right by your baby, and they wouldn’t flip over or anything like that. Cant do that on a bike. This is almost the same as a baby stroller, just one that goes faster and that has room for you the parent to ride on. As long as there is weight on the board there won’t be any face planting. I think this is awesome!! All of the naysayers probably don’t skate so this isn’t for you. 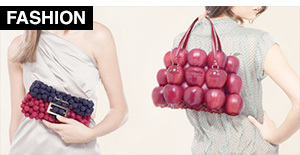 Let the cool moms have our fun and you can take your bubble wrapped baby to the mall in your Bob. 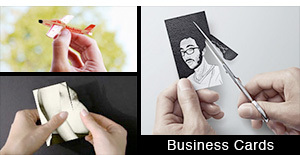 I think its cool! But, they need to add something so if the parent falls off or something there is a face protector or body protector. That way the baby won’t go FLYING. 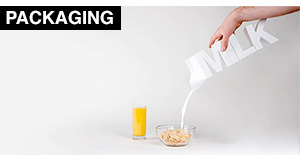 Over all this is a good idea but needs some modifying. @Graham – That’s actually a good idea and I don’t think an auto brake would be that hard to add. It would just require a pressure sensitive system in the back. 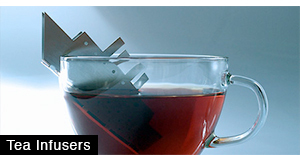 Having said that, I’m assuming this is mostly just for experienced skaters. 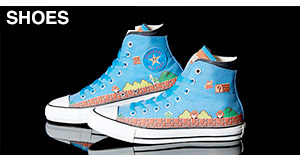 Can you but these somewhere?